The first time I heard those words I was sitting next to my mom in a New York City hotel room. It was during an interview my father had with NBC. His response to the correspondent’s poignant question was filled with resolve and conviction, yet tempered with deep humility. My mother and I both looked at each other and started to cry. 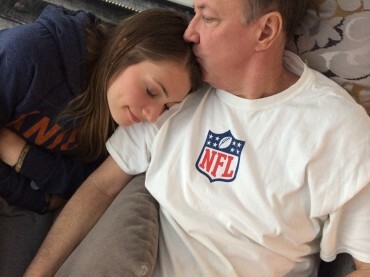 I’m not going to talk about football or what it means to be a Buffalo Bills fan this week, instead I’m going to tell you why my dad isn’t afraid to die and why I’m not afraid either. But before I dive into what might be uncharted waters for some of you, I’d like to make a few things clear: I’m not trying to tell you what to believe. I’m not even remotely suggesting that I’ve got this all figured out. For though my years aren’t many, I’ve lived long enough to know full well that the next heartbeat is not promised to anyone, and each breath is a gift — to be unwrapped with gratitude, and never to be taken for granted. I am well aware that as sure as the sun rises to bring forth a new day, filled with promise, among those promises is the assurance that life on earth will end someday. Whether we like or not, death comes to all of us. I first experienced this when my brother Hunter died at just eight-and-a-half years-old. I remember that day as if it were yesterday — every feeling, every tear as joy intertwined with tremendous pain. Joy because I knew my brother was in Heaven and he wasn’t suffering anymore. Pain because I miss him with every breath I breathe. I didn’t want my brother to die and I don’t want my father to die either. But, I know that death is real and lays claim to each of us — whether we age-out of this life and into the next, or something intrudes to violate the natural order of things to take us earlier. However, I believe there is something more real than death. Something greater. Something stronger. Something more powerful. My dad and I, we’ve been changed. As a result of the reality and fear of death we had both experienced we have been ushered into an even greater reality. 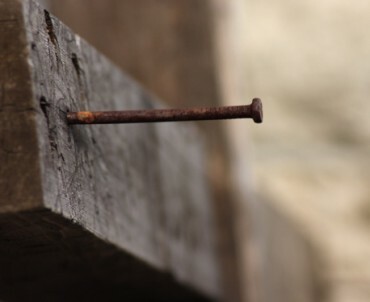 One that has taken the sting out of death because of the One who conquered it to give us life here and in eternity in all its abundance. Monday was our first follow-up visit with both the radiation and chemotherapy teams since Jim completed his treatments on May 28th. Basically, the visit was to determine the extent of healing that has taken place in Jim’s mouth as well as his ability to eat since he’s still using a feeding tube for all nourishment. Jim has lost a total of 44 pounds since the beginning of this second go around with cancer. 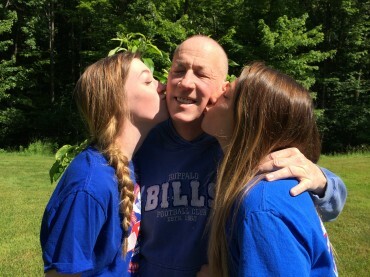 We are considering another type of therapy in the interim between the last treatment Jim had, and the scans that are scheduled two to three months up the road. However, we are still gathering information and haven’t made a decision about that yet. Additionally, we’ve also been looking into implementing alternative and homeopathic protocols in order to strengthen Jim’s immune system. This is an area that is fairly new to us so we are trying to learn as much as possible and implement what we can as soon as possible. 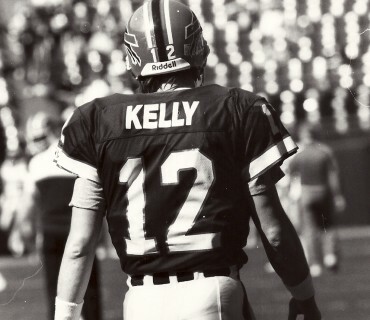 He is still very weak, extremely tired, and he’s not himself — but he’s still “Kelly Tough,” focused on God and the goal line, and victory. He always has and always will persevere and fight the good fight. Most importantly, he is healing. It’s a tough time for us, but we are encouraged and hopeful. We’re not grasping at straws, but instead resting in the reality that God is presiding over our destiny, He didn’t fall off the throne in shock and surprise at Jim’s diagnosis, and He hasn’t changed, meaning He still has a perfect plan in the midst of all this. One prayer at a time. Wait for test and scan results. Wait to find out if the treatments worked. I’m sitting here sharing this update and standing on His promises…But to be honest with you I’m just really sad. Sad that Jim has to go through this. Sad because my girls are sad and they don’t know exactly what to do with their tears. And I feel like most of the time I don’t know how to help them because I’m dealing with my own sorrow. Honestly, the thing that makes all of this even harder is the fact that I know beyond a shadow of doubt that God is who He says He is. I know that we are not waiting on a result or scan or anything or anyone else for that matter — we’re waiting on God. I also know that He already KNOWS the outcome — and that that should be enough for me. And I guess that’s what makes this all so hard and yet so comforting. My hope in the God who holds the universe and my heart and our lives in His hand is the same God that is big enough for moments like this. Moments when I’m confused and sad. Moments when I feel like He’s not moving and healing even though He absolutely is. Moments when I’m trying so hard to hang on to faith when all I really need to do is let go — and let God. Greater than this life and the life to come. Greater than my heart and hopes and dreams. 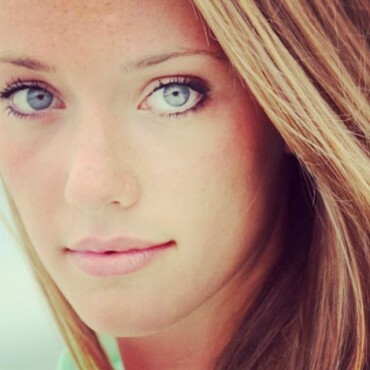 Talking to God about Ben…Nicole and cancer. A few days ago, a dear friend of mine, Nicole, died. Ben left behind his 5-year-old twin brother, Jack. 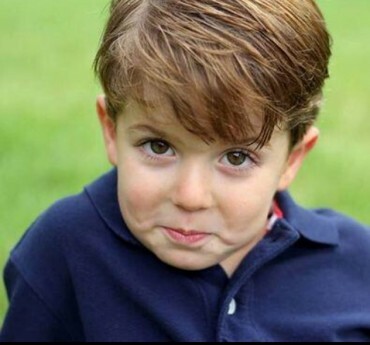 Nicole left behind twin sons, both 5-years-old – Trevor who has Krabbe disease and his brother, Tyler. I can’t help ask…WHY, God, WHY? Why not a miracle for Ben and Nicole? You’re the God who heals all of our diseases. You still perform miracles in our day. So many people prayed for Ben. So many people prayed for Nicole. Like the paralytic who was carried to Jesus by his four desperate friends…we all carried Ben and Nicole to you. If we can’t run to You with the depths of our despair, where else can we go? The weight of this pain is overwhelming. Lord, how will You work all this together for good? Will all of this bring You glory? Help us find You in the midst of all this despair and anguish. My faith is drowning in a sea of tears. I’m trying to keep my head above water but I can’t seem to catch my breath. I can’t even move or open my mouth to scream for help. 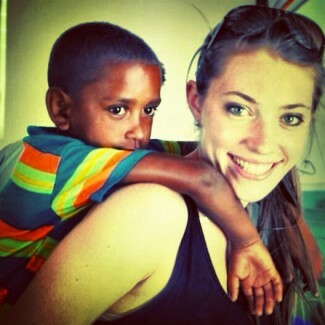 Did we focus so intensely on the healing that we took our eyes off of You, the Healer? Don’t You hate cancer too? And even now, my heart longs to praise You. Maybe because, it’s okay that I don’t understand. It’s okay that I don’t know why. You’re still gracious, merciful, loving, kind, long-suffering. You’re still big enough for my doubt, unbelief, and fear. You’re still the One who understands. You’re still the One who saves, forgives, redeems. And right now that’s enough. Because in the midst of this we still seek YOU…in the midst of the tears, despair, doubt, questions…YOU understand it all. You’re the only One who does. He’s in his late thirties. He has just weeks to live. But his heart abounds with hope. We had the privilege of meeting him as we were anxiously packing up Jim’s hospital room to head out to yet another scan. Cataloging a litany of appointment dates & times, scans, blood-work, diagnostic tests, and clinical abbreviations — the hospital rooms are where we “huddle-up” as a family to call the next play and plan the next move now that the cancer’s back, aggressive, and starting to spread. 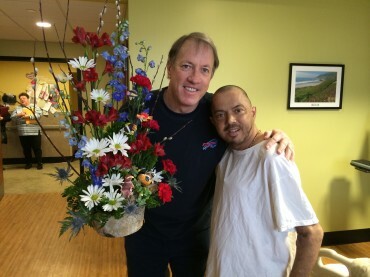 Every time he leaves the hospital, he gives another patient the flowers that have been sent to him so they can enjoy them too. I’m surprised he remembered the whole flower thing because he’s so drained and feels so sick. She’s got a heavy study load this semester in addition to the navigating through of all things college life. I get this text from her yesterday: So I wrote a blog. She doesn’t have time to write anything other than what’s required of her, so I know this is big. I read it, cry and then…I THANK GOD. Thank Him for “circumstances” that cause us to cling to the TRUTH. It was just a response to an email I sent the day before. Some Thoughts about Waiting, cancer…and Christ. But I never expected to hear the “C” word. Through one connection or another we’ve all been touched and terrified by this fearsome foe. I was invited to participate in the Good Friday Together event held at the First Niagara Center. 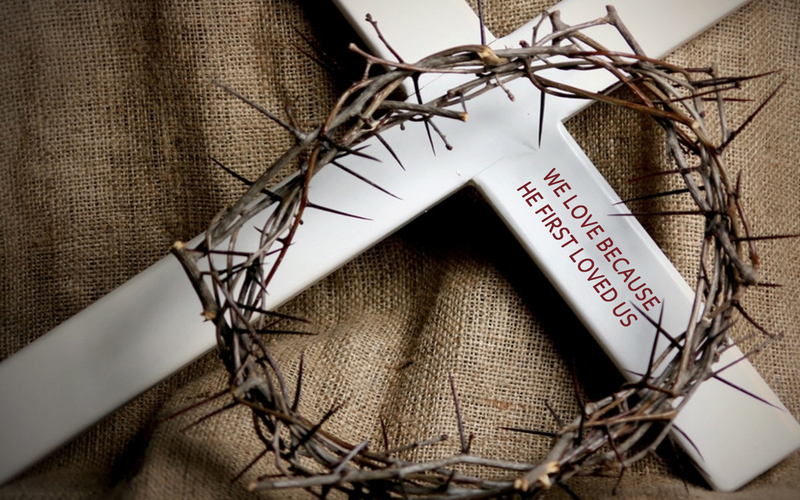 (On Good Friday) Overwhelmed by the invite and the verse I was given to share…I prayed a lot. Actually, I freaked out and prayed a ton. It was an extraordinary event. I know it’s true but sometimes (well, often) I forget. They don’t belong to me. They were His long before I even knew them and they’re still His. Maybe it’s because they’re flesh of my flesh that I feel this way. 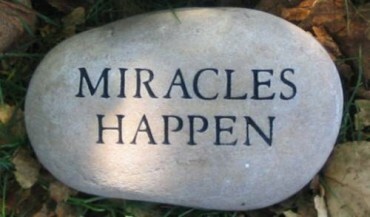 What about after the MIRACLE? The best way to share this is to just tell you what happened — the way I remember it. But, before I unload I preface all of this by first telling you that I’ve prayed hard and long about what to share. And I trust that God has given me the right spirit and words.